VCita is supporting the on-the-go lifestyle of service-based small businesses (SMBs) with the launch of its new mobile business management solution. 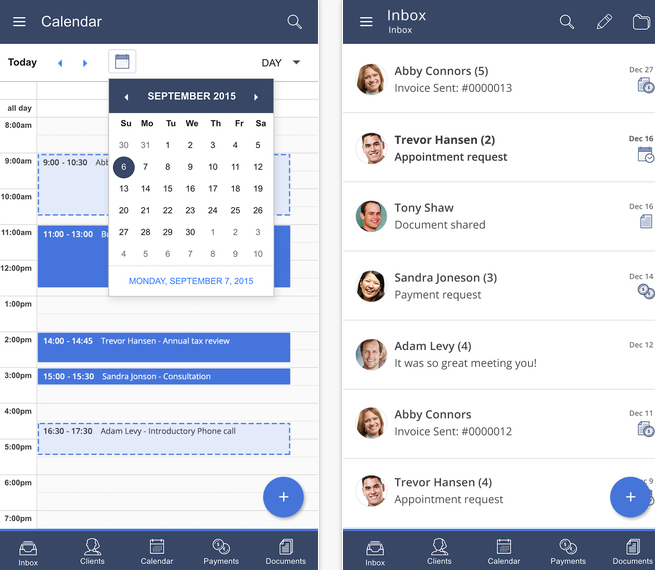 The solution, dubbed vCita Mobile, is an integrated, customizable client engagement and CRM app that enables SMBs to access information, perform critical client-facing tasks and serve customers quickly while also saving resources on tasks like scheduling, invoicing and document sharing. The app is available for both iOS and Android. VCita Mobile was built specifically to provide SMB professionals with the mobile management technology that they need to efficiently run their business. The app provides users with access to all of their contacts, appointments, invoices, payments and documents. What’s more, users can create, edit and view all client records, as well as schedule appointments, assign client appointments to staff members and manage calendars. VCita Mobile also provides notifications for new client requests, enables users to send invoices and accept online appointments. "Having a Mobile CRM to manage all my communication and scheduling with real-estate agents is key to my success,” said DJ Paris, President of Marketing at Kale Realty in Chicago. "With the new vCita Mobile I get a notification for every newly scheduled phone call or meeting, even after hours, and can quickly respond, reschedule, or assign the meeting to someone else right from my smartphone."